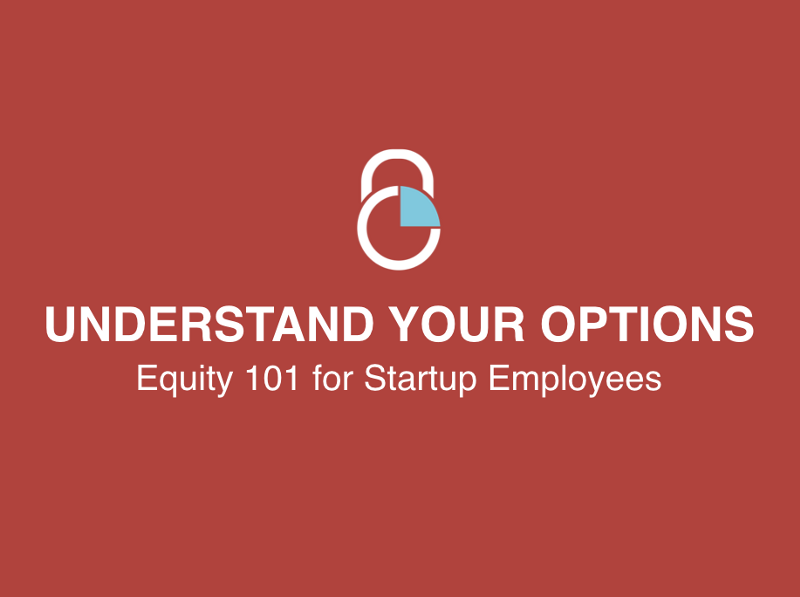 We’ve just kicked off our first event series: “Equity 101 for Startup Employees.” The following post covers the second section from this presentation: Stock Option Economics. The remaining sections will be covered in the rest of this 4-part blog post. You can follow us on Twitter (@Carta) for updates on upcoming events. Now that we’ve covered the basics of stock options let’s get into some of the numbers. This next section, Stock Option Economics, is really about how much your options are worth and how you should think about their value. We’ll cover 3 topics in this section. First, we’ll go into strike price or in other words: the cost for you to buy one share of stock. This is also called an exercise price. Next, we’ll talk about how your stock options actually gain value over time and what factors determine that. And lastly, we’ll touch on something called dilution. This is what happens when companies start to grow and raise more money. Let’s start with the strike price. The strike price on your option grant is what you pay to buy one share of stock. Like we talked about in Part 1 of this post, a stock option is the right to buy a set number of shares at a fixed price. That fixed price is called the strike price. 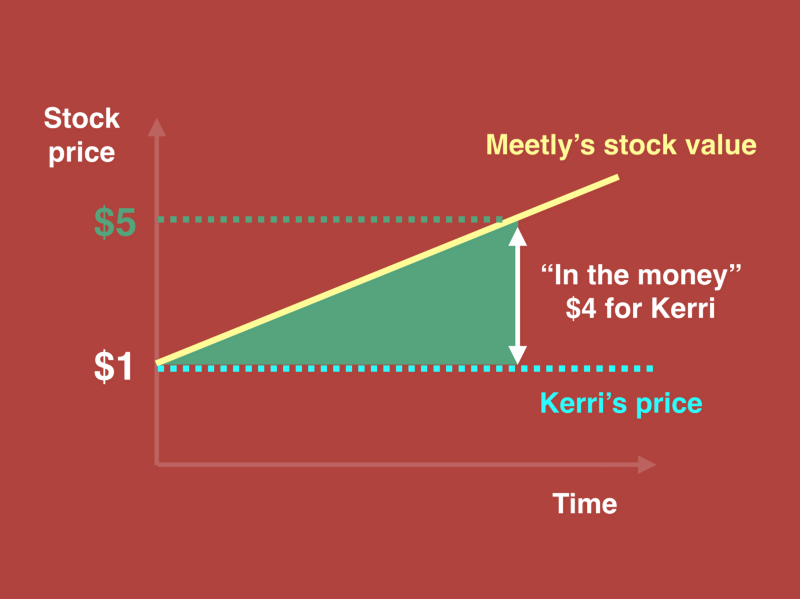 In Kerri’s case the strike price is $1 per share, which means to buy one share she needs to pay one dollar. 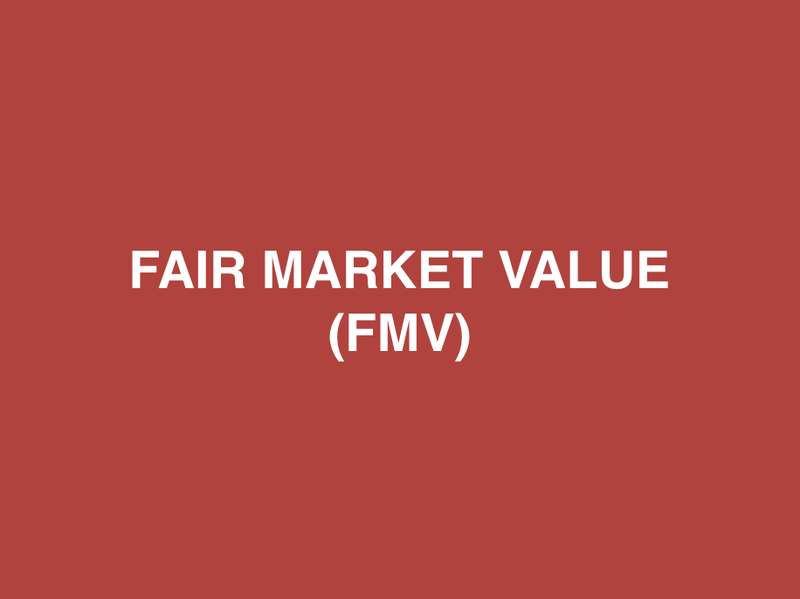 To come up with that $1 price Meetly had to determine what’s called a Fair Market Value (FMV). This is essentially what they’re saying would be a fair price if the stock was traded publicly on the open market. 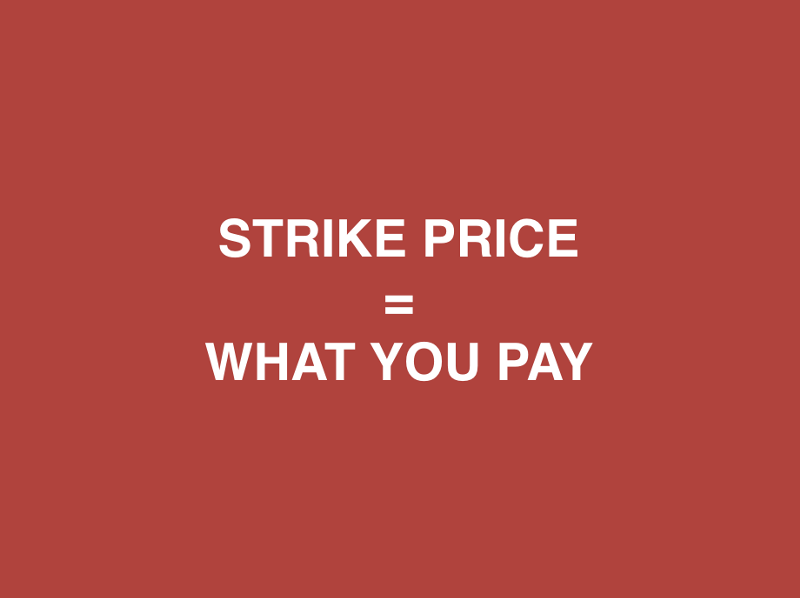 The strike price is almost always equal to the Fair Market Value of the stock on the day the option is granted. Let’s look at how companies come up with a Fair Market Value. For a public company it’s pretty easy to figure out the FMV. You can just pull out your phone, open up any online brokerage platform, and look at what the stock is currently trading at. That’s the fair price that people are willing to pay on the open market. 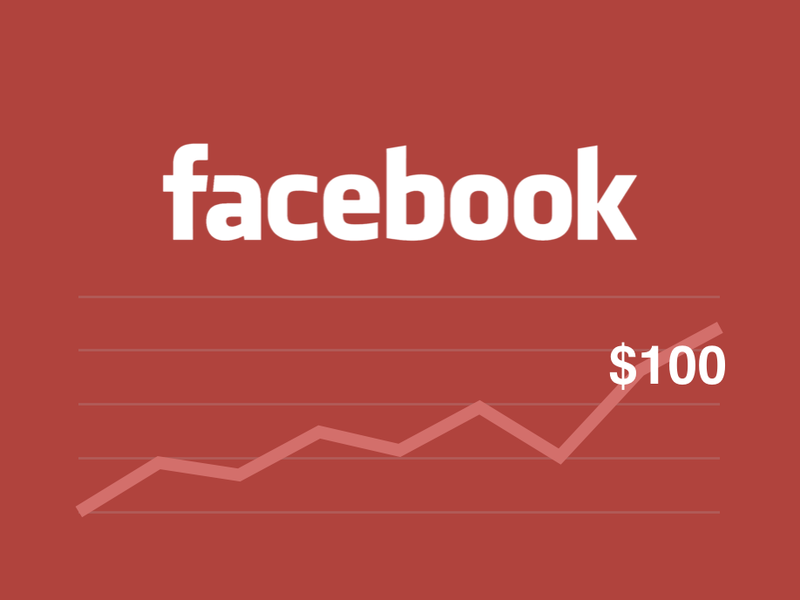 Facebook, for example, was recently trading at $100 per share, so their FMV was $100 that day. If we try to look up Kerri’s company (Meetly), there’s nothing there. 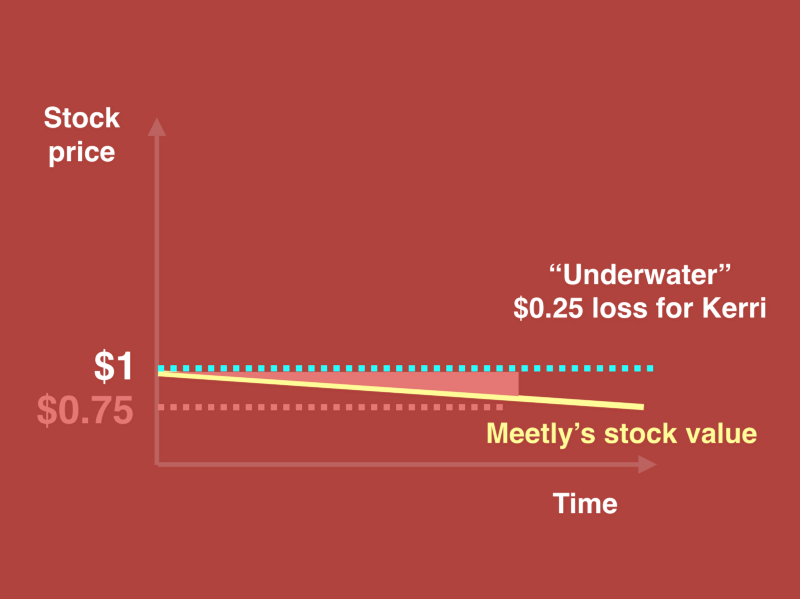 Like all startups, Meetly is a private company and the stock can’t be traded publicly until an IPO. 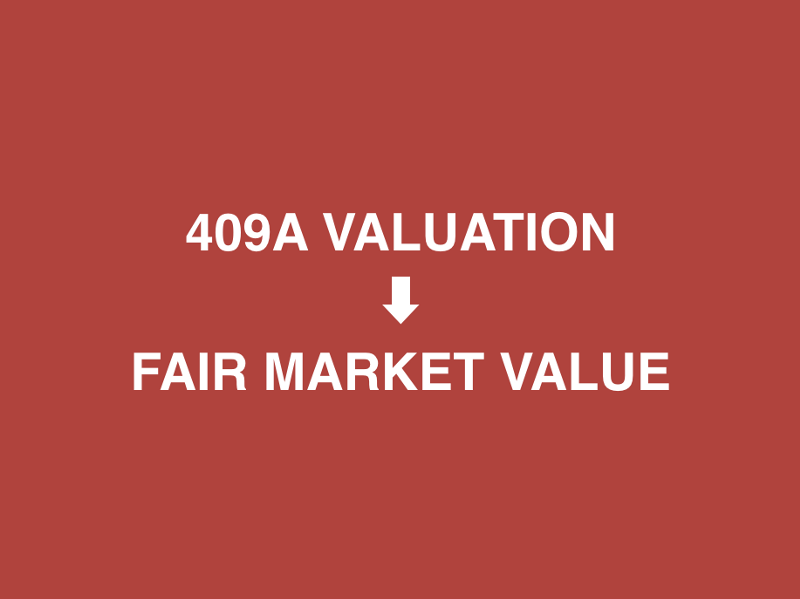 To determine a Fair Market Value, private companies do something called a 409A valuation. The 409A is a valuation of the company as a whole. From there they can figure how much one share of common stock is worth, and that is the Fair Market Value. One thing that’s important to note here is that the company can not set the strike price of an option grant below that Fair Market Value. If they do there are tax consequences that fall on the employee (not the employer). So now we’ve covered the strike price and FMV. Let’s talk about how stock options gain value. In this case, Meetly’s FMV has risen to $5 per share. With a strike price of $1, if Kerri decides to buy and sell, she will make $4 on the spread. But things don’t always go well for startups. Let’s see what happens if Meetly’s FMV goes down to $0.75. The spread is now negative, and Kerri’s options are “underwater.” She would have to pay $1 to get $.75 in return, so she decides not to exercise. There’s one last thing we’ll cover that relates to the value of your stock options, and that’s dilution. 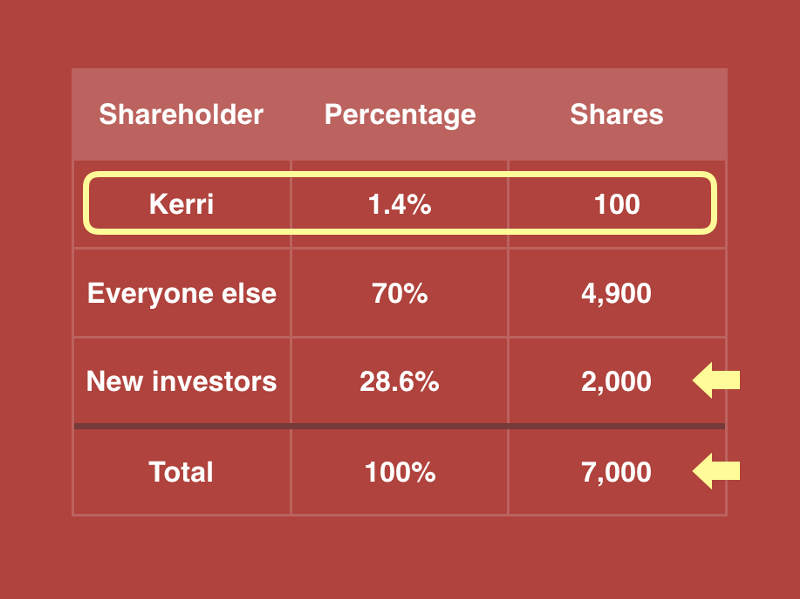 Let’s start with Kerri’s ownership percentage in Meetly. When she received her options, her 100 shares were worth 2% of the company. As you can see in the bottom row of the table below, the company is divided into 5,000 shares total— 100 divided by 5,000 equals 2%. One year later, Meetly starts growing and decides it needs more money, so they bring in new investors. Before Meetly can issue stock to the new investors they need to create more shares, so they divide the company into 7,000 shares, instead of 5,000. The 2,000 new shares are issued to the new investors. 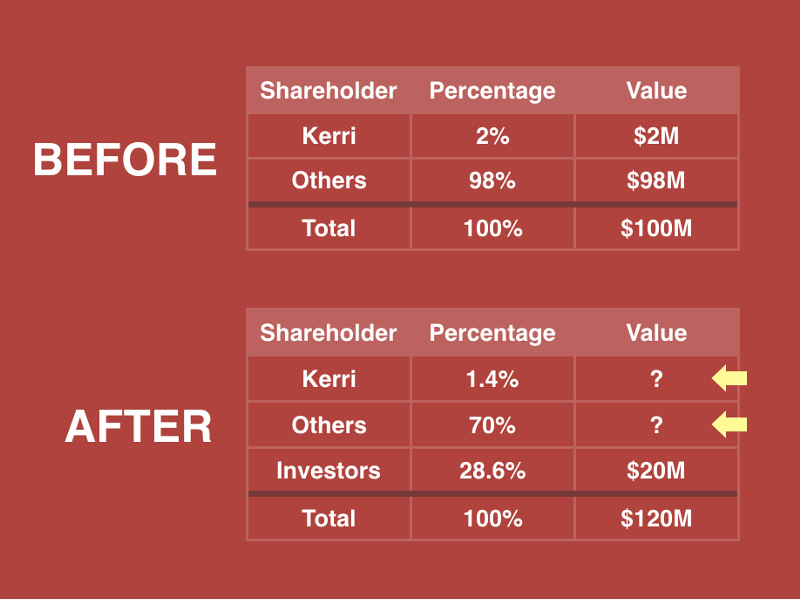 As you can see, Kerri still owns 100 shares, but her ownership percentage has gone down from 2%. 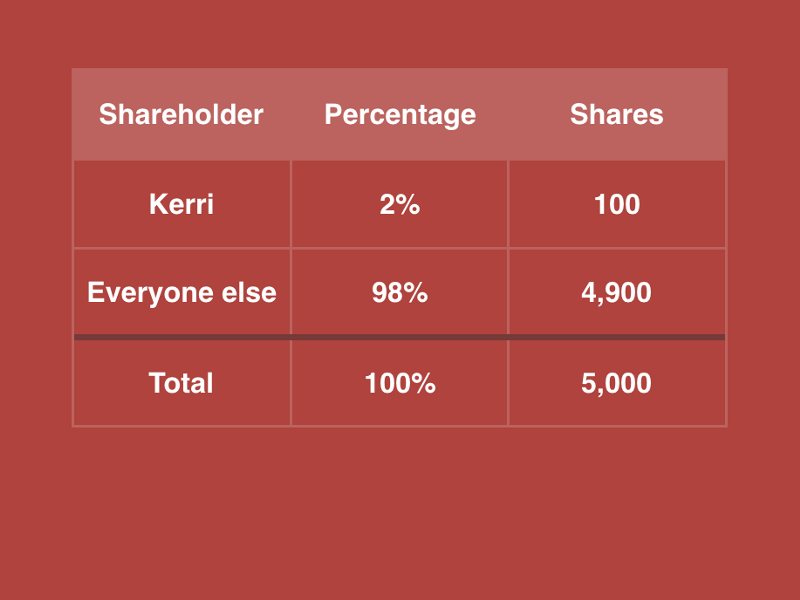 Her 100 shares divided by the new total (7,000) is equal to 1.4%. This is called dilution. But let’s look at what those shares are actually worth, before and after the new investors came in. We’ve added a column on the right to show the dollar value in each row. 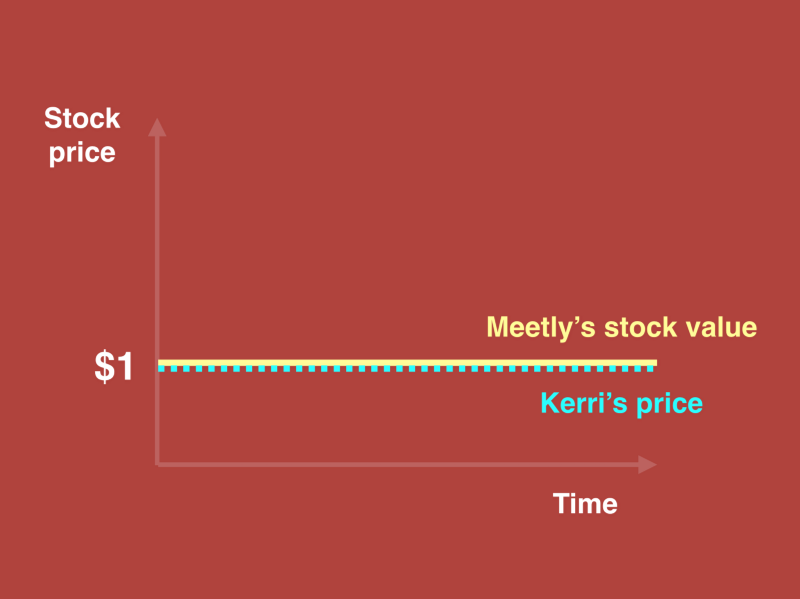 Before the round, Meetly was valued at $100 Million, so Kerri’s 2% was worth $2 Million. 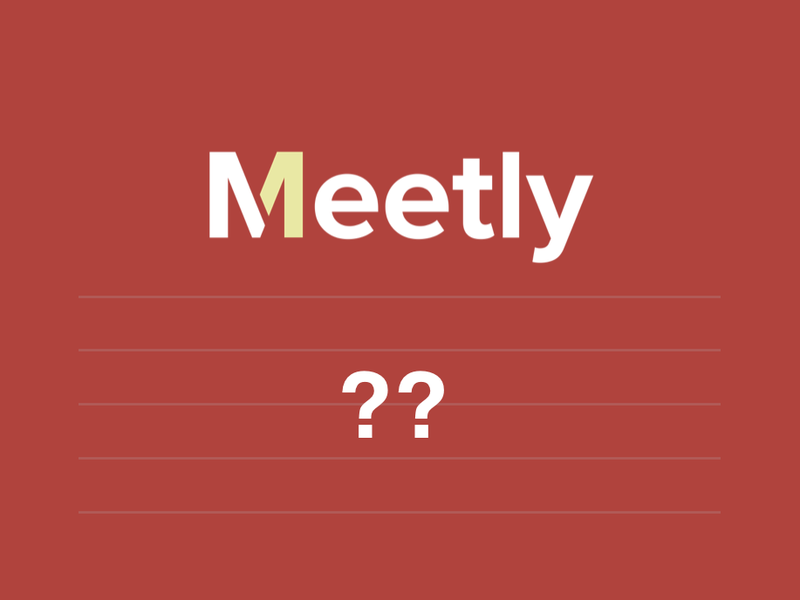 After the $20 Million round, Meetly is valued at $120 Million. 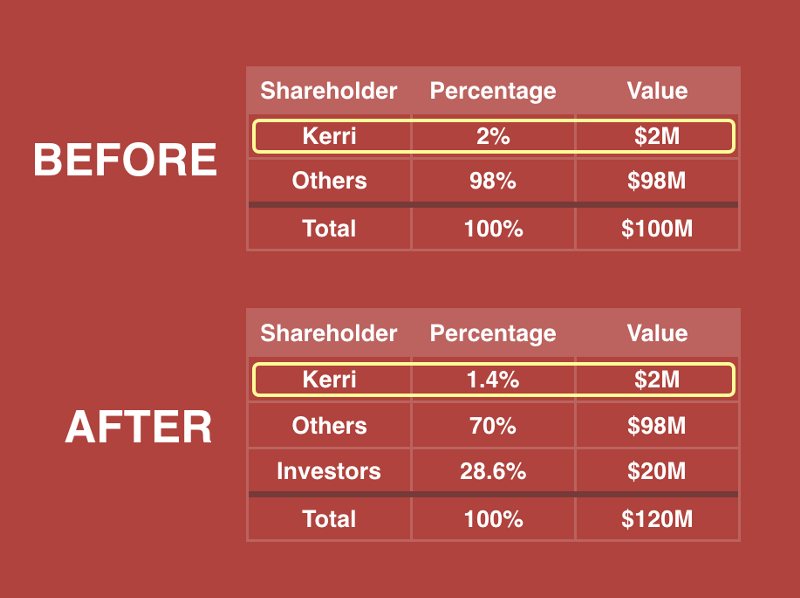 What Kerri cares about are these 2 boxes highlighted above, showing how the new investment affected the value of her options. As you can see, it didn’t — 1.4% of $120 Million, is still equal to $2 Million. Even though her ownership percentage was diluted, the value of her options stayed the same. She essentially owns a smaller piece of a bigger pie. Ok — so let’s do another quick recap. First, we talked about strike price (or exercise price). This is a fixed price and it’s how much you pay to buy one share of stock. Second, we covered the value of your options, which is basically the spread between your strike price and FMV. Lastly we talked about dilution, or how new investment can affect your ownership percentage. These are 3 things you should consider when determining the value of your option grants. In the next section of “Equity 101 for Startup Employees,” we’ll cover exercising and the tax implications you should consider.